Kindergarten is coming and there are things that you might not have thought about. These are the activities that you can begin practicing as young as 1 or 2 depending on your child’s maturity level. By starting early, your child will be more prepared and have more practice when entering school. Here are ten tips to prepare your child for kindergarten readiness. Read, read, and read some more! Take your child to the library and allow them to pick out books. Try to read a story to your child at least once a day. Choose a time that works for your family that you can stick to. While reading, focus on enjoying the story with your child. Also, you can attend storytime to help your child practice sitting on a carpet and listening to a story. Reading daily to your child helps her learn new words, understand that words have meanings, and begin to understand comprehension. Once you have bought your child’s lunch box and food containers, it is important to show them how to open them. It is very frustrating for a child to be hungry and not be able to open their food containers. Yes, there will be a teacher there during lunch who can help your child. However, you don’t want your child to have to wait to eat because they needed the teacher’s help to finish their food. If your three year olds are anything like my twins, that means they are very, very active. However, in school they will have to learn how to sit down quietly for at least 15-20 minutes at a time. Give your child practice sitting down at a table while doing an activity such as coloring or playdough. You can also take your child to the library or activities that give them a chance to practice sitting quietly. Name writing is something that your child will be doing many times during the school day. In many kindergarten readiness assessments, name writing is one of the things that children are tested on. Even if your child can’t write all of their letters, at least focus on their first and last name. A simple way to practice name writing is to write your child’s name on a piece of paper with dotted lines. Then have your child trace over it. Once they start being more comfortable then you can have them write their own name. By teaching your child to write his name, even if the work is difficult for him at least he can feel confident in knowing that he wrote his name. 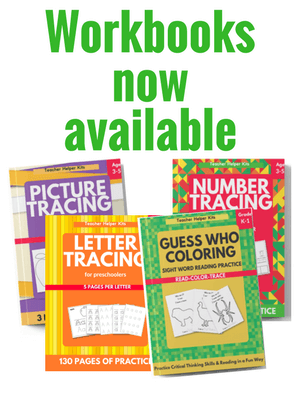 There are also free websites that you can put your child’s name in and print free name tracing worksheets. Tying shoes is such a difficult task for young children. If you plan on having your child wear shoes with laces, now is the time to begin practicing tying their shoes. I have used the Melissa and Doug Lacing shoe to help my children all learn how to tie their shoes. Of course you can use a regular shoe, I just don’t want my children to play with dirty shoes or leave them around the house. If your child is always by themselves or only with siblings, it is a good idea to practice making friends and being social. In school your child will be around many children they don’t know (probably at least 20), so it is important to help your child learn how to make friends and talk to other children. Sign your child up for a class at your local recreation center so they can practice being around other children. Since your child will be experiencing a new time in their life, it is important to help them handle their emotions. So if your child gets frustrated easily or has a hard time with change, NOW is the time to begin practicing emotions. Read books that talk about emotions and talk about how the characters handle their emotions. You can also use toys or stuffed animals to role play situations that your child might be in. Practice transitions such as bedtime or playtime, through counting down or a timer, so that your child can be able to handle transitions smoothly. In school, activities change often (every 20-30 minutes), so it’s imperative that your child can understand how to handle the transitions and their emotions. Once your child has practiced using a crayon and a pencil, start working with him to complete “work”. This will get him used to doing schoolwork in class and it won’t be a difficult time. Read my post to find the best websites for free preschool printables or check out all of the free preschool printables available on my website. These are just ten things that you should practice to help your child prepare for kindergarten readiness. By practicing kindergarten readiness skills early, you can help your child enter school more prepared, more confident, and make school a fun time for your child. Kindergarten should be a fun transition and exciting time for your family. This is just a few of the skills that your child will need to know before entering school. 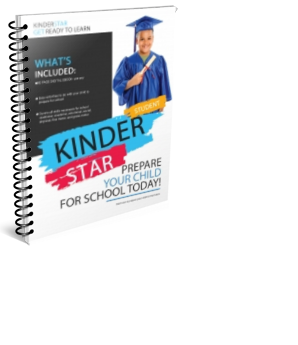 If you would like to have more activities to prepare your child for kindergarten, check out the KinderStar course. What other ways are you preparing your child for kindergarten? Leave a comment below.